The first release of 2010 from Libro International is about to go to the printer. 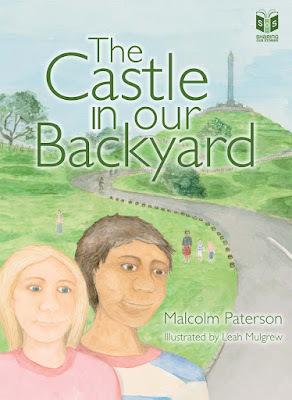 The Castle in Our Backyard comes from the talented group of young people behind Sharing Our Stories, a concept to teach younger readers about the history and geography of the landscapes they inhabit, showing that their immediate environment has as much drama and excitement as video games or TV. Written by Sharing Our Stories member Malcolm Paterson and illustrated by Leah Mulgrew, this engaging story for primary and intermediate age readers will be released in English and Maori editions in mid-June, at the time of the Matariki festival. For more details go to Libro International.